We are a leading Manufacturer of dental chair for patient from Ahmedabad, India. 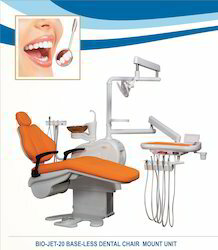 We are leading enterprise in providing a wide gamut of Dental Chair for Patient. This product is acknowledged in the market for its excellent finish. The offered product is designed by our professionals using the quality material and technically advanced tools. We offer this product in various specifications in order to meet various requirements of our customers.